I wish there were more information and experiences shared somewhere collectively. My hands seem to forget I’m holding things and my limbs jerk by themselves. I have deteriorating eye muscles prematurely that is due to fibromyalgia. All of this no dr told me. Hi Debsi, we have Fibro Friday every week where we share Fibromyalgia experiences. I think you should have some of these symptoms checked out by a doctor as they could be caused by something other than Fibromyalgia. 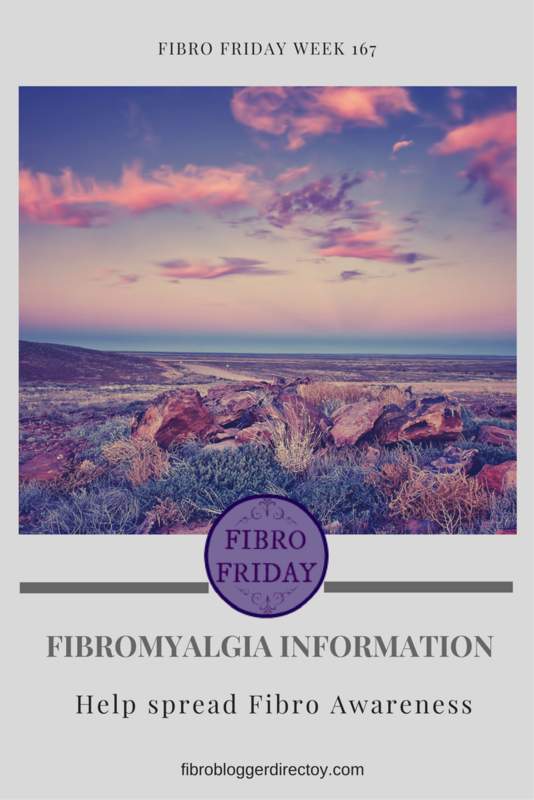 I have not heard of Fibro causing weak eye muscles? Happy Friday to all of my fellow FibroWarriors out there! Let's make it a great day! Thanks Photobaugh for joining in and wishing you a great day too.